This website is an initiative of Jonne Misset, living in Holland. She has a regular correspondence with Willie and constructed this website with his approval. However nobody but Jonne Misset is responsible for the content of this site. Nearly 2,5 years after the stay of his execution there is still no answer. Only babysteps. We only can wait and hope for the best. Wrongful Conviction Day, which was first celebrated last year, will take place again on Friday, October 2nd. To mark the occasion, we are urging our supporters to help spread the word through their social media channels in hopes of making this an annual day to recognize and remember the many men and women who have been wrongly convicted. Help The Innocence Project to make a lasting impact today by posting a photo that represents you standing up for innocence – take a selfie wearing an Innocence Project T-shirt, take a photo that represents what it means to lose your freedom for something you didn’t do, create a graphic about wrongful convictions using data from our website or share the story of one of the 330 DNA exonerees. Then post it to Twitter, Facebook and Instagram using the hashtags #WrongfulConvictionDay and #StandUp4INNOCENCE. Be creative to help bring awareness to this important cause, and please urge your friends to learn more about the Innocence Project and their work to free to the innocent. Today it is exactly two years – 730 long days - since a mandate from the Mississippi Supreme Court allowed Willie Manning to pursue his request for DNA testing and fingerprint comparison. For Willie the two years must have seemed interminable. At long last, however, there are signs that the DNA testing may soon be complete. On July 23 there was authorization by the court for blood samples from the two victims to be sent to the Cellmark forensic lab where items from the crime scene are being analyzed. This was followed only 18 days later (on August 10) by further authorization, this time for a tissue sample from Willie to be sent to the lab,“so that Mr. Manning's DNA profile can be established and compared to any profiles obtained from the submitted evidence sources”. A Buccal DNA Collector, used to collect cells from inside an individual’s cheek, has been delivered. Medical personnel of the Mississippi Department of Corrections at Parchman are to collect the sample, witnessed by Willie’s lawyer, and, if wished, by counsel for the State. After over twenty years on death row, Willie must be struggling to comprehend that this is all real. There have been so many moments of hope followed by despair; so many long years of trauma, despondency and grief; such a deep sense of abandonment and separation from the world. After all this it must feel as if the prospect of exoneration will remain a perpetual illusion. Our thoughts are with Willie as he undergoes the simple DNA collection process, attempting to take in the enormity of what is happening. And we trust that the analysis and comparison process will be quick, so that Willie will finally have the certainty that he needs and deserves. The high court ruled in a 5-4 decision that states have the right to use the drug midazolam in executions. A group of Oklahoma death-row inmates have challenged the state's use of midazolam, arguing that it cannot reliably render an inmate unconscious, in response to the cruel death of Clayton D. Lockett (2014, Oklahoma). More than an hour after the start, they aborted the execution and Clayton died of a massive heart attack. This case prompted Oklahoma to change its execution protocol; it now uses a larger dose of midazolam. The court ruled Monday June 29 2015 that the death row inmates failed to establish that the use of midazolam violates the Eighth Amendment's ban on cruel and unusual punishment. And also the prisoners failed to identify a known and available alternative method of execution that entails a lesser risk of pain. The four liberal justices dissented. Justice Sonia Sotomayor, in her dissent, criticized the court's majority opinion, saying it "leaves petitioners exposed to what may well be the chemical equivalent of being burned at the stake." She also stated it's absurd that inmates are criticized for failing to come up with a good execution method. The state of Mississippi is using a single-drug method, but the MacArthur Justice Center in New Orleans has a federal lawsuit on behalf of some Mississippi death row inmates over the state's three-drug protocol in lethal injections. In May this year Nebraska voted against the death penalty as the 19th state. The death penalty is still legal in 31 states, but just a few states perform executions. that Willie got a stay of his execution, and DNA-tests were allowed. What happened in these two years? Do they just follow procedures or are they willing to see Willie as a human being who's for more than 20 years behind bars and all the time fighting to prove his innocence? The Death Penalty Information Center has added death-row inmate Willie Jerome Manning to its list of death-row exonerations. This was after the dismiss of all charges against him arising out of the 1993 murders of an elderly woman and her daughter. Willie Manning is the 153rd person exonerated from death row since 1973 and the 4th from Mississippi. Willie remains on death row pending the results of DNA testing that could exonerate him in the murders of two Mississippi college students after the FBI admitted that its agents provided two different types of flawed forensic testimony in that case. Yesterday there was breaking news in the papers: Charges effectively dropped against Manning for '93 double homicide (The Dispatch, Starkville, Mississippi). Willie was charged for two double murders. So now, one burden is from his shoulders. In the other case an execution date was set (May 7, 2013) but 4 hours before the deadline Willie got a stay of execution and DNA-testing was allowed. Willie is still on death row waiting for the DNA-testing. He is sure it will prove his innocence. If proven innocent, Willie would be one of the 10,000 or more wrongful convictions per year. I got a letter from Willie! On the envelope he had written the message: “I can’t breathe”. These were the last words of Eric Garner who has been killed in July in a police chokehold. These words have become a byword for lack of justice for African Americans killed by police. In this way Willie highlights the link between police and state killings of African Americans in the USA. Last December Willie did'nt feel well, but now he's feeling much better and has more energy to write and do things that are necessary for his case. On October 10 2014, the 12th World Day against the Death Penalty is drawing attention to people with mental health problems who are at risk of a death sentence or execution. While opposing the death penalty absolutely, abolitionists are also committed to see existing international human rights standards implemented. Among these is the requirement that persons with mental illness or intellectual disabilities should not face the death penalty. Today, let's also think about Willie. He is still waiting to prove his innocence through DNA testing. If you missed the Al Jazeera America documentary featuring Willie Manning (episode 3 of the series, The System), you now have a chance to watch parts of it on the recently created website, SAVE Innocents on death row in the USA. The excerpts appear on Willie’s new webpage on this site. As well as two video clips, there is an audio clip from the phone call that Willie made to the director, Joe Berlinger. The page also includes a video from a news program, Democracy Now, broadcast shortly before Willie was scheduled to be executed last year. You can watch Vanessa Potkin from the Innocence Project explaining the legal background to Willie’s 1992 case; she notes that the Mississippi Attorney General, Jim Hood, made untrue statements at that time. The System is a new series by Joe Berlinger, broadcasted by Al Jazeera America. Berlinger is exploring the controversial cases within the criminal justice system.The third episode is about Flawed Forensics and Berlinger used Willie's case as an example. Read a review of the series in The New York Times. In the case of the murders of the two students (1992) the Oktibbeha Court ordered search for evidence, because of Willie’s request for DNA and fingerprint testing that was permitted. Evidence was found in April. We're now waiting for the testing. In the case of the murders of two elderly ladies (1993) Willie submitted a brief to the Mississippi Surpreme Court on May 21 2014. He is asking for oral argument in court, because the wrongful conviction in this case is due to substantial allegations of State misconduct. F.i. committing perjury at the trial by the crucial State witness, contradictory statements by another witness, they found a bloody shoeprint of seize 8, while Willie's seize is 10½. If you want to know more about it, see Justice for Willie Manning. Willie's request for DNA testing and fingerprint analysis was heard on January 31, 2014, at the Oktibbeha County Circuit Court. This request relates to the case of the two students (1992). It seems likely that Willie’s request will be permitted. I received a letter from Willie recently (dated 19-09-2013), in which he apologizes for not writing letters for such a long time. I think he's feeling better now and get a feeling that his old fighting spirit has come back. He wrote me about the documentary Al Jazeera America has made of his cases. I don't know yet when they air it. Here you can read more about the documentary. 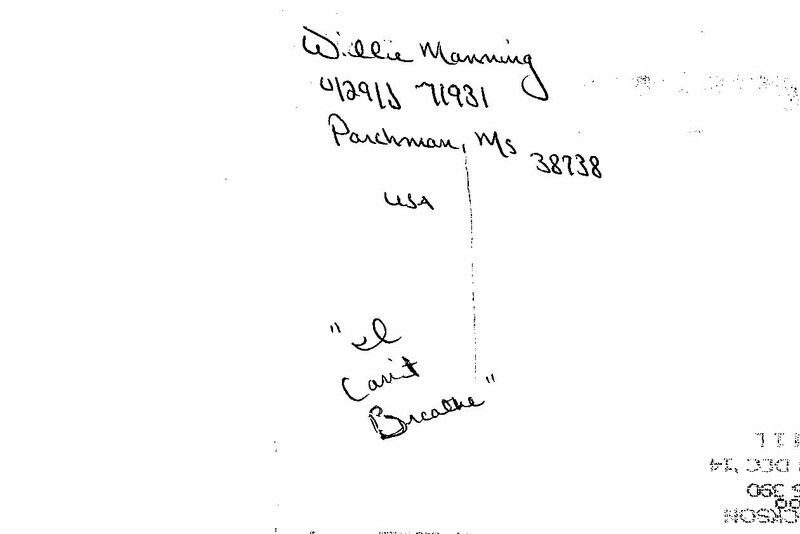 Willie filed a request for DNA and fingerprint testing in the Oktibbeha County Circuit Court on October 14. The Court has given Willie the chance to argue before a judge for DNA and fingerprint testing that he alleges will show him innocent in the deaths of two students. The Mississippi Supreme Court gave Manning 60 days to file a brief in Oktibbeha County Circuit Court, where he was convicted, to support his motion for DNA testing and fingerprint analysis. The judges’ unanimous decision reverses their earlier 5:4 ruling against such testing. Willie also asked for two other things: a hearing on the reliability of expert testimony, and to have his convictions set aside. The court has denied these requests. The FBI is reviewing 2,000 cases convicted on hair samples after it has emerged that there has been widespread errors in forensic testing and how the evidence was portrayed in court. As many as 27 prisoners facing the death penalty may have been wrongfully convicted along with potentially thousands of others across the country. Attorney General Jim Hood was dismissive aboutWillie’s request for DNA testing of biological evidence. Hood referred to ‘dilatory defense tactics’: the defense ‘waits until the 11th hour to raise such claims’. This was a few days before Willie's execution date of May 7.
talking about the FBI letters about their invalid testimonies. And also an interesting discussion about the Death Penalty with a Law Professor from Florida (the state with the highest rate of exonerees), the director of the Death Penalty Information Centre and a constitutional lawyer who was a former US Associate Deputy Attorney General under Ronald Reagan. An article by former FBI director William S. Sessions about old cases like those involving John Huffington and Willie Manning. FBI testimony in both cases provided key evidence that led to their convictions, and there were serious flaws in this evidence. If men and women such as Huffington and Manning still remain in prison - and in some cases on death row - it's intolerable, according to Sessions. His message is: "When evidence that is used to convict an individual is discovered to be unreliable, justice requires that we review that case, no matter how long ago the conviction occurred." "The court still has not made a decision so we can only hope that it will now make the right one." This is what Willie wrote in his letter, and he continued: "As you already know, we still have some ways to go." On my doormat: a letter from Willie, what a surprise! He has to wait for a decision and in the meantime Willie has just been trying to relax and get his thoughts together. He said:"I was somehow able to stay focused and in good spirits throughout that whole ordeal. But as soon as it was over it seems like I was immediately overwhelmed by everything. The amount of support we got really blew my mind. I can still not wrap my mind around it." Willie's situation is still precarious. So we need people to support him. Judge Lee Howard of the Oktibbeha County Circuit has denied Willie Manning's request for a new trial. 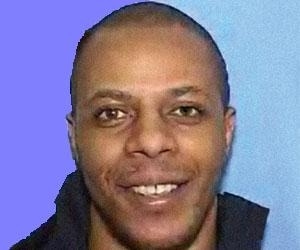 In the ruling issued Tuesday May 21, Howard wrote: "The court finds that Lucious' (the State's key witness) testimony that he was threatened into testifying at the petitioner's trial and that Allgood knew his testimony to be false is unreliable and should be given no weight in the present proceedings." May 21, 2013. A judge has denied Willie Jerome Manning’s request for a new trial in the 1993 slayings of a 90-year-old woman and her 60-year-old daughter in Starkville. Oktibbeha County Circuit Judge Lee Howard handed down his ruling Tuesday, and Manning’s attorneys can appeal it. Manning's attorney, Robert Mink, calls the ruling "astonishing" and says he will appeal. Willie Manning won a stay of execution in one capital case. Now he waits to hear if an Oktibbeha County judge agrees he was denied a fair trial in 1996, when he was sentenced to death for the slayings of two women. The judge has promised a decision by the end of June 2013. The Mississippi Supreme Court will have the final say on whether the death sentence will stand.The execution overshadowed the pending case in Oktibbeha County. May 9, 2013 An article of Daniel S. Medwed (Boston University Law Review) examines the question of why prosecutors may turn a blind eye to post-conviction allegations of innocence, like in the cases of Willie Manning. It concludes that there are certain institutional and political barriers that deter district attorneys’ offices from recognizing potentially valid innocence claims. An alarming statement in the article indicates that the problem of false convictions is far greater than admitted by those in the criminal justice system and the number of false convictions per year is much larger than the 10,000 per year estimate. John F Kennedy said “No matter how big the lie; repeat it often enough and the masses will regard it as the truth.” This is a technique that was also familiar to Adolph Hitler. What happened in Willie Manning's case? In the past weeks the first reports in the local press of Willie's petition did not even mention his request for DNA testing. Attorney General Jim Hood was talking about 'this flurry of last minutes filings' and 'types of tactics that delay the process', when he mentioned Willie's petition. And: "He is a violent person who committed these heinous murders." But even worse was the prosecutor who vilified Willie as Beelzebub, the Devil’s lieutenant on local television, after a court reversed its decision in 2006. On the other hand analysis has probed more deeply, shown in articles from e.g. The Innocence Project, the ACLU's blog, The Atlantic. May 7 - Willie Manning's attorney says in a court filing that the FBI has identified another error in the case. If the authorities in Mississippi have their way tomorrow, Willie Manning will be executed. David Protess, President of the Chicago Innocence Project tells all about DA Forrest Allgood (what's in a name). His name is also linked with Kennedy Brewer (exonerated) and Lavon Brooks (exonerated). The lawsuit was filed to preserve evidence in the case for additional testing, whether Willie is put to death or not. The attorney who represents the Mississippi Innocence Project said the group wants to prevent the destruction of evidence in the case and preserve the evidence for DNA and other testing. Governor Bryant is faced with an important and difficult decision: by 6 p.m. on May 7 he must decide whether to halt Willie’s execution or allow him to die. But the USA also has an important and difficult decision to make: whether to trust without question the judgment of the 5 judges who have condemned Willie to death; or whether to think the unthinkable and challenge the methods used by these judges in reaching their decision. 2 submitted separate written statements. It is clear that, in contrast to the majority group, they did use the usual method of reviewing court evidence: they examined evidence presented by the defense as well as the prosecution. This text is the lastest post on the website Justice4Willie. Read the full text, scrolling down at the homepage. Mississippi Attorney General Jim Hood says a new round of DNA testing on evidence collected against death row inmate Willie Jerome Manning would not exonerate him in the 1992 deaths of two students. Manning is scheduled to die by lethal injection at 6 p.m. Tuesday. Hood mentioned that if the defense waits until the 11th hour to raise DNA claims, which could not possibly exonerate their client, courts hate to be subjected to these types of tactics that delay the process. Attorney to Willie, David Voisin said Hood is missing the point on the FBI's offer to conduct new testing. "The first DNA testing was done at the time of the trial. We have been seeking access to this evidence to see if it was possibly testable since 2001. There's nothing 11th hour about it," Voisin said. At May 4 The Guardian stated that the Justice Department suggests evidence used to help convict Manning was flawed as officials reportedly agree to further tests. The Clarion-Ledger newspaper in Jackson, Mississippi has reported that a lawyer for the Justice Department has now written to a local district attorney, Manning's lawyer and the Innocence Project advocacy group raising its concerns about the evidence. The letter reportedly states that a review of the original tests had been carried out. "Through this review, we have determined that testimony containing erroneous statements regarding microscopic hair comparison analysis was used in this case," the letter said. On May 4 The Washington Post wrote that the Justice Department has acknowledged flaws in forensic testimony by the FBI that helped convict a man in the 1992 slayings of two Mississippi State University students, and federal officials have now offered to retest the DNA in the case. The extraordinary admission and offer come just days before the man is scheduled to die by lethal injection on Tuesday and present a quandary for Mississippi officials about whether to stop the execution of Willie Jerome Manning, 44. In a rare move, the Department of Justice and the FBI saying laboratory reports on hair analysis and testimony by FBI examiners were erroneous in the capital murder case in the '90s that sent Willie Jerome Manning to death row. Justice Dept. Attorney John Crabbs Jr. has sent a letter, dated May 2, to Oktibbeha County District Attorney Forest Allgood and copying it to Manning's attorney David Voisin and the Innocence Project, informing of the mistake. The FBI has agreed to do further testing of evidence in the case. 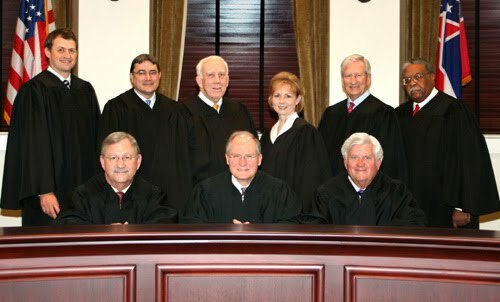 Former state Supreme Court Justice Oliver Diaz said: "Let's make sure before we execute possibly an innocent man.I hope the governor and the state Supreme Court don't a mistake like I did (in the case of Kennedy Brewer who was exonerated in 2008 after 15 years on death row MS) to keep an innocent man in prison." On May 3, former and others asked Gov. Phil Bryant and the Mississippi Supreme Court to allow the FBI laboratory to do DNA and other testing of evidence to prove whether or not Willie Jerome Manning committed the murders of two Mississippi State University students in 1992. Kennedy Brewer, former death row inmate in MS has asked the governor to delay the execution of Willie Jerome Manning until DNA evidence is tested. “I am living proof that the courts sometimes just get the wrong man,” said Kennedy Brewer, who was wrongly convicted. At May 3, 2 p.m. there will be a press conference to educate the media and Mississippians on the injustices of Willie Manning’s case. Willie Manning is scheduled to be executed by the State on Tuesday, May 7, without allowing DNA testing or fingerprint matching of evidence that might well prove his innocence. At the time of the prosecution in 1994, the local NAACP led mass protests of the racially biased judicial proceedings that convicted Mr. Manning. Mississippians need to know about the serious problems for this case that will be headline news in less than a month. ... Given today’s technology and social advancement, there is no reason a man such as Willie Manning should be executed in light of the potential for his innocence. DNA testing will prove, once-and-for-all, whether Willie committed the murders for which he was blamed. Fingerprint matching may yield another suspect in this case. Neither of these has been offered to Willie. Further, racial bias played a large factor in jury selection. Rather than being tried by a jury of his peers, the Court allowed prosecution to strike potential African-American jurors for nothing other than what seems to be race motivation. The time to speak for Willie is now. Willie’s case is tied to your right to ensure a fair and impartial justice system is used in Mississippi and the United States at large. The press conference will be hold in MS Capitol Building / 2nd Floor Rotunda. Speakers will be : David Voisin, attorney for Willie Manning, Wayne McDaniels, NAACP MS State Conference 6th Vice President and Bishop William Houck, retired bishop, Catholic Diocese of Jackson. The Innocence Project started a petition and now added a video at You Tube. From a new post on www.justice4willie.com. On the eve of his execution, state officials say there should be no DNA or fingerprint testing for a condemned man who maintains his innocence. The relevant question is:"Exactly how sure are you that you got the right guy?" The answer to that question, in the case of Willie Manning surely is: "Not very sure." There is no physical evidence linking Manning to the 1992 murders of two Mississippi State University students. The Manning case deserves a closer look before it is too late because state officials failed to use modern techniques to test DNA and fingerprints from the crime scene. May 2, 2013 The Mississippi Supreme Court has refused to stop the execution of death row inmate Willie Jerome Manning. The court made no other comment. The Supreme Court split along the same lines when it denied Manning's post-conviction appeal a week ago. The majority said there was substantial evidence to convict Manning. The four justices who sided with Manning said the DNA testing, if favorable to the inmate, would raise questions about his guilt. Barry Scheck and Peter Neufeld are co-founders and co-directors of the Innocence Project, a national litigation and public policy organization dedicated to exonerating wrongly convicted individuals through DNA testing and reforming the criminal justice system to prevent injustice. On May 1 they were the guest columnists of The Clarion Ledger. In their article they say Willie deserves DNA testing before his execution on May 7. They urge Governor Phil Bryant to issue a stay so the testing can be done. They mention that 306 people have been exonerated by DNA evidence (including eighteen people who served time on death row like Willie) since it became available two decades ago. The Innocence Project is a national litigation and public policy organization dedicated to exonerating wrongfully convicted people through DNA testing and reforming the criminal justice system to prevent future injustice. They say: "Incredibly, the Mississippi Supreme Court ruled in a 5-4 decision that there is “overwhelming evidence of guilt,” so no DNA testing is needed. His execution has been set for May 7th. Eighteen men have been exonerated by DNA testing after being sentenced to death, including Kennedy Brewer of Mississippi. We are asking the Governor to stay the execution and order the DNA testing that will definitively prove Willie Manning’s guilt or innocence. Join us in calling on Mississippi Governor Phil Bryant to stay Willie’s execution and order DNA testing!" Join them and sign. Ask your network to do the same. On April 30, 2013 the Associated Press published that two groups support Willie's effort to stop execution. The two organizations, The Mississippi Innocence Project and The Innocence Project New Orleans help exonerate inmates using DNA evidence. They have asked the state Supreme Court to let them file briefs to support Willie's effort to avoid execution. Willie's attorneys asked the court Tuesday to stop the execution. They also said they will file a clemency petition with Gov. Phil Bryant. On April 28, 2013 the Associated Press published that Willie has asked the Supreme Court to look again at his case. In a request Willie's attorney said that the Mississippi Supreme Court overlooked or misunderstood some matters raised in Willie's motion for DNA testing. The Supreme Court rejected Willie's motion on April 25. Four justices (out of nine) sided with Willie. A shocking decision has resulted in Willie not being allowed to present his arguments. The Mississippi Supreme Court has set a execution date for Willie at May 7, 2013 at 6 p.m..
Willie has asked for DNA testing, and stated none of the fingerprints, hair, blood or fibers found at the murder scene corresponded with his own; he made these points in a petition opposing the setting of an execution date. But ... he is not allowed to present these arguments. Incredibly, the very missed deadline that is preventing Willie from presenting his arguments, was in fact not Willie’s fault, but was brought about by the State. On April 3, 2013 'The Associated Press' published that Willie Jerome Manning has told the Mississippi Supreme Court that he has more arguments to make, meaning now is not the time to be setting an execution date sought by the attorney general's office. biological evidence should be DNA tested, using methods not available at the time of the murders (no physical evidence linked Willie to the murder scene: none of the fingerprints, hair, blood or fibers found at the scene corresponded with Willie’s). a jailhouse informant has recanted his testimony. the State failed to disclose exculpatory evidence about three of its witnesses (including evidence about the witnesses’ incentives to testify in favor of the State). there is a possible pattern of reliance on testimony procured unfairly. black people were improperly kept off his trial jury. his trial attorneys were ineffective at the penalty phase. “This is just my personal opinion, and I won’t speak for the rest of the family, but it doesn’t bring our brother back,” she said. “Because of that, we don’t wish that ill will on anyone else’s family. I don’t believe (Manning’s) death helps us in one way or another” (as reported on March 26 by the Natchez Democrat newspaper here). On March 25, 2013 'The Associated Press' published that the US Supreme Court denied Willie Manning's appeal without comment. Attorney General Jim Hood asked the Mississippi Supreme Court to set an execution date for Manning for April 24. It is strange to see that in one case Willie is allowed to query whether prosecutors withheld evidence and gave false evidence (see below: post-conviction ruling pending). But, in the other case, we are not allowed to know WHAT he wants to query, because of a missed deadline. Something is not right. On March 13, 2013 Press Agency 'The Associated Press' published about Willie's appeal before the US Supreme Court. The Supreme Court will decide about Willie's appeal on March 22, 2013. If they deny his request, the attorney general will ask for an execution date. Willie has argued that defense attorneys should have done a better job and that black residents were inappropriately excluded from his jury. On March 13, 2013 Press Agency 'The Associated Press' published about the post-conviction petition filed by Willie Jerome Manning.